NAP Bloodrunner 3 Blade 100 Gr. 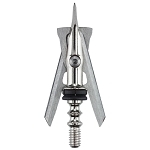 Home > Archery > Archery Accessories > Broadheads > NAP Bloodrunner 3 Blade 100 Gr. 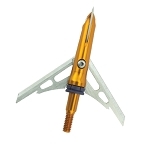 The BloodRunner® 3 is a unique broadhead that delivers field point accuracy and a 1-1/2 inch cutting diameter for massive blood trails and quick recoveries. 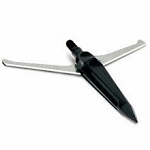 Three scary sharp .035” thick super strong blades will even deliver a 1 inch cut in the closed position, which means this broadhead will never fail - guaranteed. 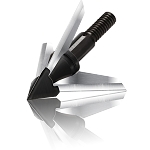 Strength, accuracy, and absolute dependability; everything you’re looking for in a broadhead. Rage Hypodermic +P 100 Gr. 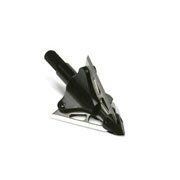 QAD Exodus Swept Blade 100 Gr.